After Ajith rocked in Mankatha with Venkat Prabhu’s gang, it is now Surya’s turn to join the Venkat Prabhu camp. 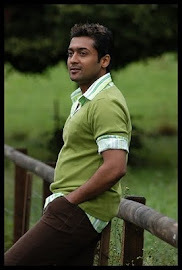 After Maatraan, Surya’s next film will be with Vankat Prabhu and his team — Venkat has finalised Surya for his next script. The director is currently penning the story and he will be finalising the script soon. Studio Green will be producing the film. A close aide of the director says, “The Venkat-Surya combination has been discussed for quite a long time. Surya is really looking forward to hearing the script and as soon as Surya is done with Maatraan, Venkat’s film will commence. Surya will be joined by Venkat’s usual gang of boys. Earlier, Venkat had planned to work on a story with his Chennai 28 team but Surya was finalised recently.